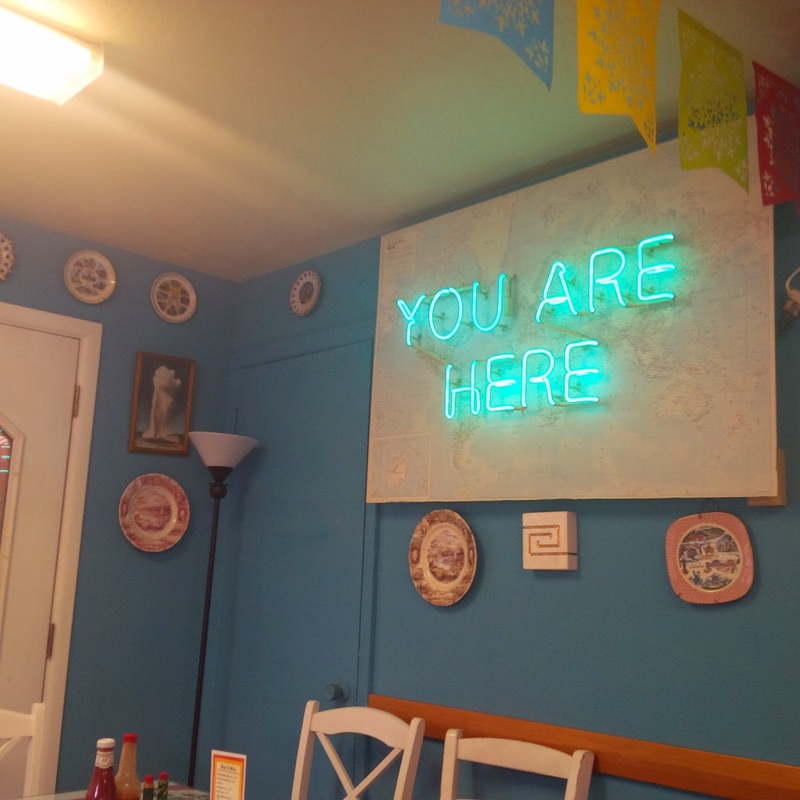 photo taken in Wanda's Cafe, Nehalem, by Dot. Today marks half way through NaNoWriMo 2013. The target word count through midnight tonight is 25,000 words written. Right now I am at 27,581. I am quickly closing in on 3,000 words written for today and I think I'll make it. Today we had a lovely brunch at Wanda's Cafe in Nehalem. It was delicious and worth the taking the time out to drive and have a good meal. We stopped at the Old Oregon Smokehouse on the way back to the house to check out their hours, for tomorrow. There was a store beside where we parked to check out the smokehouse hours which had my favorite sock brand in the window, SolMates. And, guess what? I now have a new pair of SoleMates socks and a colorful SoleMates pair of fingerless gloves. It has been years since I've had patterned and colorful gloves. I used to do some regular interpreting where gloves where a good idea or required, so I've only had black thermal type gloves to protect my fingers and still be able to sign. But now, I have both. And I rarely interpret in situations where I need gloves any more. I'm excited to have something fun and colorful and frivolous; and I can use them with my touch screen Blackberry Q10, as well. Very fun. It did get very stormy today, wind and rain, so we didn't make it down to the beach. I brought a coat and such for a light rain, but not what we had today. Will aim for a walking break on the beach tomorrow. Okay, Back to writing and see how much more I can squeeze in today. Or I might switch over to working on my poem for submission for this week. Hm. Either way, I have more writing ahead of me. It's been a good writing day on my NaNoWriMo 2013 writing retreat.